Fish oil, derived from the fatty tissues of fish, is a great way to get more omega-3 fatty acids into your diet. The supplement has been shown to help ADHD, Alzheimer’s, cardiovascular disease, weight loss and more. But for fish oil, it’s possible to get too much of a good thing. In fact, fish oil may increase the risk of dangerous fatty liver disease. According to a new study from the University of Granada in Spain, and published in The Journal of Nutritional Biochemistry, long-term consumption of sunflower oil or fish oil can lead to non-alcoholic steatohepatitis, or NASH. This condition is the more serious form of non-alcoholic fatty liver disease (NAFLD), which affects 80 to 100 million people around the world. Liver inflammation and liver scarring characterize NASH, and it resembles liver damage caused by alcohol abuse. Around 20 percent of Americans have NASH, and it’s most common in older adults. Among the risk cancers for NASH are obesity, high blood pressure, type 2 diabetes, high cholesterol and apparently life-long fish oil consumption. The new study led by José Luis Quiles, professor of physiology at the University of Granada, looked at the effects of oil consumption later in life to understand the association between NASH and dietary choices. The research team examined the effect of different dietary oils including fish oil, sunflower oil, and virgin olive oil on rat livers. Quiles and his team looked for liver scarring, oxidative stress, the effects on gene expression and the length of telomeres, which can tell scientists about the body’s ability to reproduce cells, in the rats’ livers. Oxidative stress refers to the body’s inability to balance free radicals that damage cells. Telomeres are located at the end of each DNA strand and help protect chromosomes within the cells. Reduced telomere lengths are associated with cellular aging; however, if your telomeres are too long, you experience an increased risk for cancer. For instance, sunflower oil consumed over one’s entire life can trigger liver fibrosis, or scarring of the liver. When a person has liver fibrosis, their liver cannot function properly and cirrhosis sets in. Cirrhosis is a chronic condition that may lead to liver failure. Sunflower oil was also responsible for increased liver oxidation and changes in the rats’ gene expression. Subjects that consumed fish oil also experienced age-related liver oxidation, as well as a decrease in the electron transport chain activity in cells’ mitochondria. The mitochondria are the “powerhouses” of the cell. A decrease in the electron transport chain activity results in impaired cell function. Interestingly, fish oil also increases telomere lengths in the liver, which could be problematic if, as stated above, they grow too long. However, olive oil caused the least amount of damage to the liver. That’s good news for those of us who prefer a Mediterranean diet. Most doctors and nutritionists will tell you the best source for any nutrient is directly from the whole food from which it is derived. So, rather than always turning to fish oil supplements for your omega-3s, try to eat three to four servings of fatty fish, like salmon, each week. Adding flaxseed oil to your salads or smoothies can help increase levels of omega-3s in your diet, too. If you’re like me, you’re probably about to toss out your fish oil supplements. The good news is, there are plenty of ways to get as much, if not more, benefit from whole foods. Hey Buddy!, I found this information for you: "New Study: This Common Oil May Harm Your Liver". 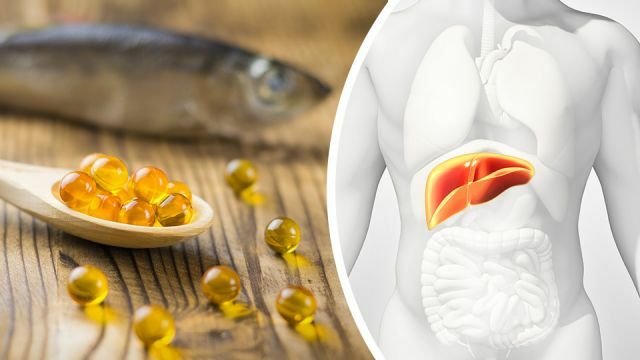 Here is the website link: https://www.thealternativedaily.com/new-study-finds-that-fish-oil-supplements-may-harm-your-liver/. Thank you.